Having 12 years of experience as an SAP Basis Certified Consultant. 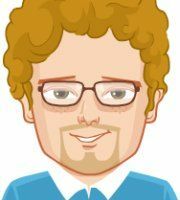 He is currently working as freelance consultant. He is having good exposure to SAP Basis administration, SAP Installation, Up gradation and Maintenance. 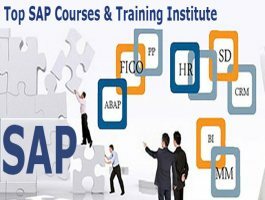 He is having excellent teaching skills which enable the students to understand each and every aspect of SAP Basis. I enjoyed the course and I feel satisfied with taking the course. I gain knowledge. The tutor is extremely kind and supportive. The other staffs were also helpful and friendly. SAP has its existence across different verticals and domains. As more enterprises and global leaders are choosing SAP for their enterprise software solutions at present and future it leads you to choose SAP as your career goal. Business Application Software Integrated Solution (BASIS) is a set of middleware programs and tools to manage, maintain, install and configure comprehensive SAP R/3 products. In this course you will learn about various set of programs and tools which perform as interface between database, operating system, communication protocols and other SAP modules. You will learn architecture of application servers, clients, user authorizations, transport management system, background job scheduling and monitoring, RFC, database management in instructor led class room training. We have SAP certified consultants who deliver training with the practical approach. Our well equipped lab facilities helps you to understand functionality of the BASIS concepts. At Aspire you get edge over the competition by our value added sessions such as interview preparation, resume preparation besides 100% placement assistance. 2. Management of Clients, Users, Authorizations, and Profiles. Offline Backup & Backing up Database . Oracle directory structure & Environment Varibles . Data storage: Tablespaces & Data files . 5. The SAP Printing System. Defining R/3 Printer Devices. .
Changing R/3 Profile Parameters . Checking and Comparing R/3 Profiles . Monitoring SAP Instances, Application Servers . Monitoring System Work Processes & User session. . Installation of ECC 6.0 with Oracle. . Installation of BI with Oracle. . Licensing the Installation, Support Packages & Kernel Upgrade . Installation of Solution Manager 4.0 with License key . - The SAP BASIS teaching is very good and every doubt is solved by a professional person. Aspire is really too good. Worth the value.